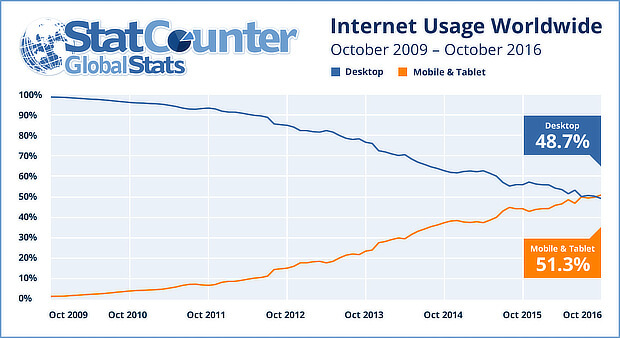 Is your mobile conversion rate lagging behind conversions from visitors on desktop computers? 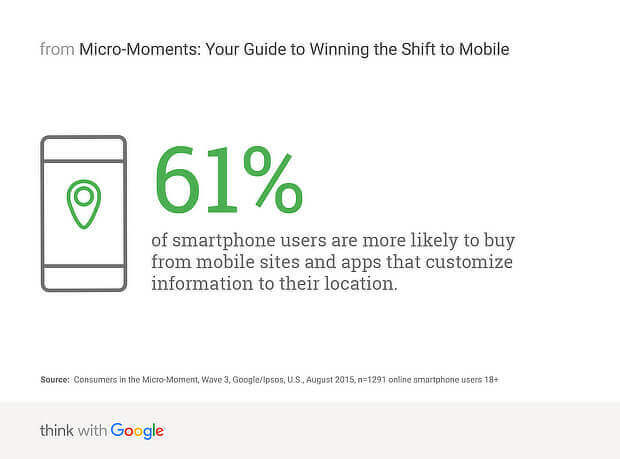 You can’t afford to ignore your mobile users, whose numbers increase daily. That’s because mobile is a key channel for people researching your products and services, and connecting with your company. The latest research shows that 70% of media time and 79% of social media time happens on mobile devices. With more people using mobile devices than desktops, it’s essential for businesses to future-proof their marketing strategy by boosting those mobile conversion rates. Mobile conversion rate is the percentage of people who opted in to your mobile marketing campaign, out of the total number of people who saw the campaign. The higher that percentage, the more successful your mobile marketing strategy is. Mobile conversion rate optimization is simply using strategies to increase the percentage of people who convert. In this guide, we’re going to walk you through proven techniques to increase mobile conversion rates so you can capitalize on your mobile audience, improve lead generation and make more sales. If there’s one golden rule of improving mobile conversion rates, it’s that speed matters – a lot! In addition to Google’s long-standing focus on improving mobile page speed, there are a couple of incontrovertible pieces of evidence. 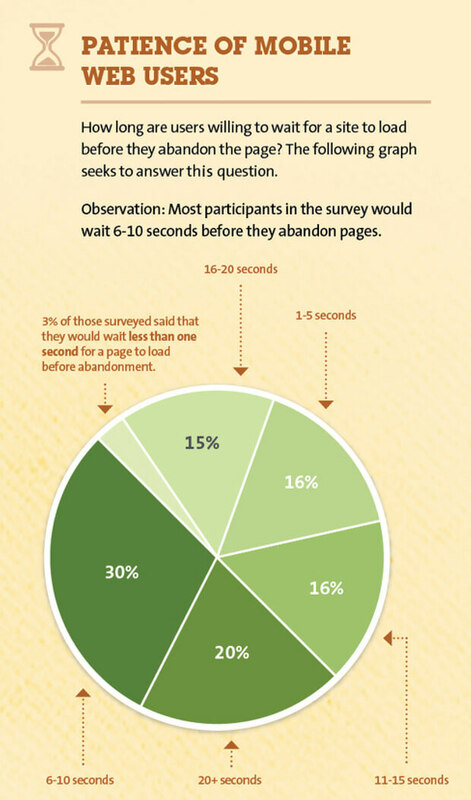 First, 40% of people abandon sites that take more than 3 seconds to load. A big part of mobile page load speed is what’s called render start time (RST), which is how long it takes for the first content to appear on the screen. Sites with the best mobile RST get 50% more engagement than other sites, and more engagement increases your chances to increase mobile conversions. How do you ensure your site is as fast as possible? Use a responsive, mobile-optimized theme or design (more on this in the next tip). Follow Google’s best practices for improving mobile page speed. If you’re running a WordPress site, then WPBeginner has a great list of tips for boosting WordPress page speed on any device. First impressions count, so that’s why it’s essential to nail mobile site design. Google’s own research shows it takes less than a second – a lot less – for people to form an impression about your site. And other research shows that great design builds trust and encourages visitors to stick around. Bad design doesn’t. You definitely want to look after usability, so people find it easy to get the information they need. We’ll talk more about usability in tip #4. Let’s talk about this last point a bit more. There’s no point in having a mobile-optimized site if your marketing campaigns aren’t also optimized. If your campaign ruins the browsing experience for mobile visitors, they’ll just leave – and they may not come back. OptInMonster has a range of mobile popup templates designed specifically to optimize mobile conversions, so that’s one issue you won’t have to worry about. 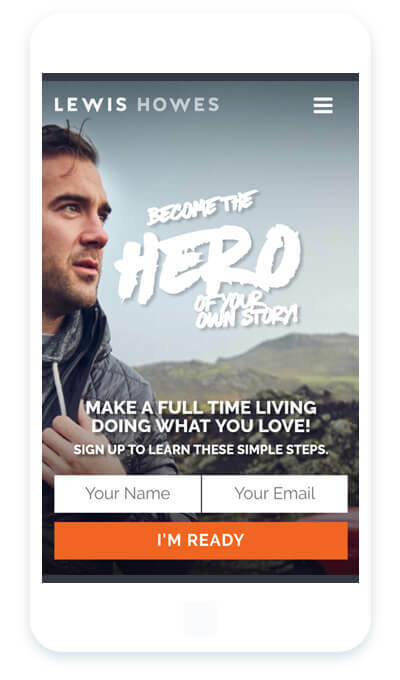 Get more inspiration from our mobile popup examples gallery. Not only do images get visitors’ attention, but they can also help you form a connection with visitors. 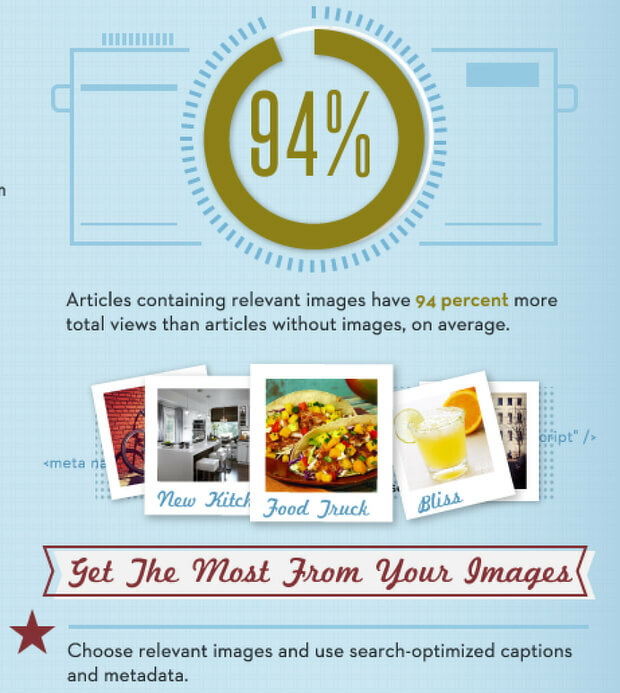 Jeff Bullas found that content with images got 94% more views than content without images. There’s just one thing to be aware of: the higher the image quality, the larger the original image. That’s why it makes sense to compress and resize images so they load quickly on your site and don’t affect page load speed. Stumped for where to get high-quality images? Check out our guide to getting free images online. You can test mobile usability with tools like UXCam and UserZoom. Still on the subject of usability, if you help users find what they want, then they’re more likely to convert. 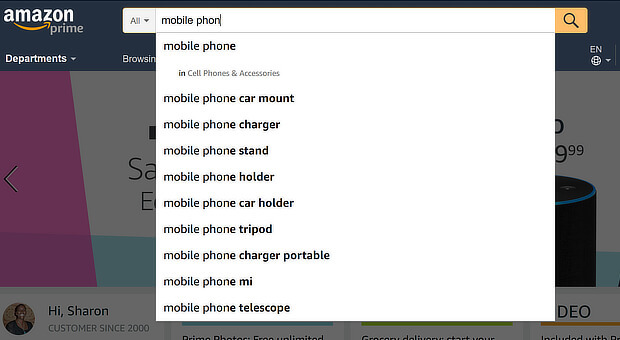 One useful approach is to use autocomplete as part of onsite search functionality, similar to how Google works. This is proven to boost conversions. Another option is to use onsite filtering tools, like the ones Amazon uses. This helps users get more and more relevant items with each selection, and relevance is known to improve conversions. Here are some additional tips on implementing onsite filtering. And if you want to use video more widely in your marketing, follow our instructions for creating a video popup to boost engagement on your website. But there’s one more thing you can do, especially for mobile users: include a tap to call or click to call interaction on your mobile site. It turns out, mobile devices users like knowing there’s someone on the other end of the phone to answer their questions. 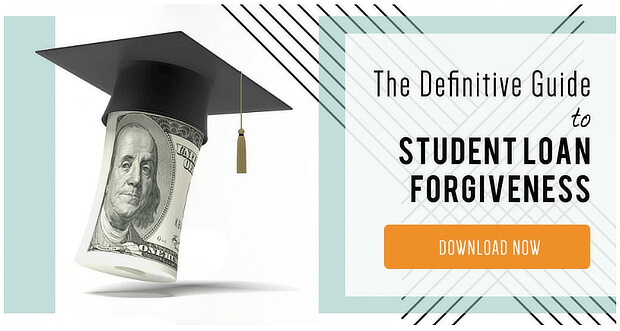 It builds trust and is proven to boost conversions and sales. Human beings are hardwired to act on urgent messages, and mobile device users are no exception. In fact, mobile users buy more often and spend more money, according to ConversionXL. 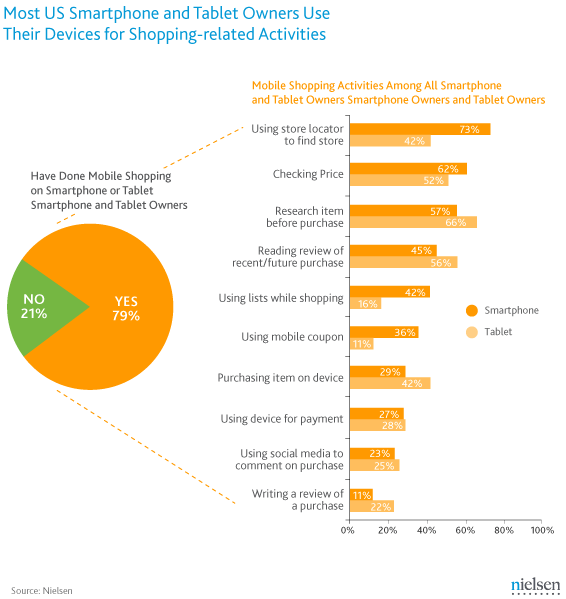 Around 30% of smartphone users and 40% of tablet users make purchases from their devices, and more than a third of smartphone users have applied mobile coupons during their purchase. Here are some more examples of urgency in marketing for you to try with your mobile audience. Search engine optimization (SEO) is all about helping customers to find you through by having your content appear in search results. With the advent of Google’s mobile-first index (which will use mobile versions of sites for indexing and ranking pages), you need to optimize your site so mobile users will find your content when they search. If you don’t, they soon won’t find your site as easily, which will seriously reduce conversions. 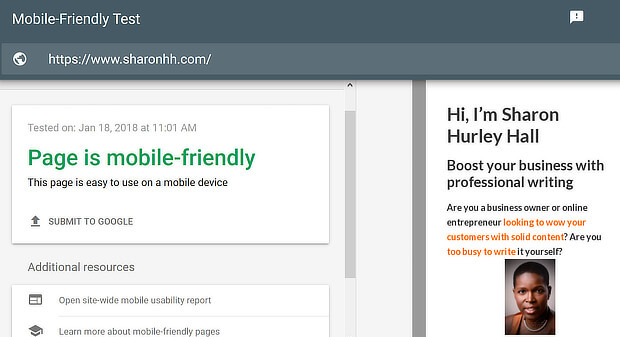 A good starting point is to use Google’s mobile testing tool to see how your site stacks up. You’ll get recommendations for improvement – implement those to improve your site’s search presence. For more on SEO, check out our guide to SEO for lead generation. Many businesses use optin forms to improve conversions for desktop users. This works well for mobile users, too. 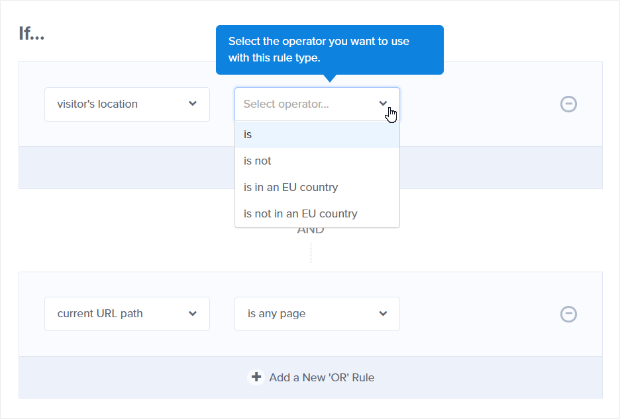 In addition to the mobile-optimized templates mentioned earlier, OptinMonster’s advanced targeting rules help you create non-intrusive mobile marketing campaigns that are fully compliant with Google’s latest rules. 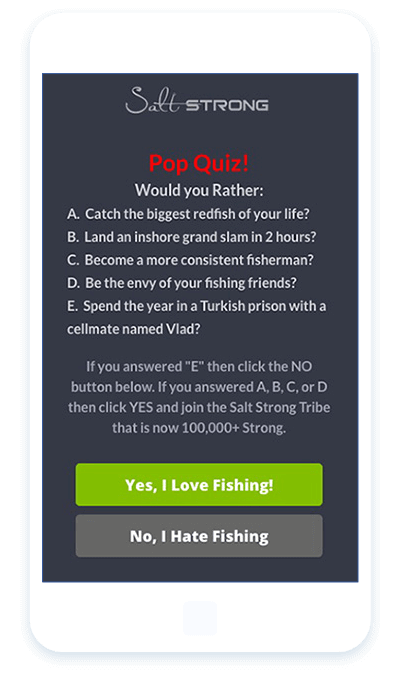 For example, SaltStrong has used OptinMonster slide-in campaigns to boost conversions by 185%. And White River got a 150% increase in conversions with an OptinMonster mobile-optimized popup. To implement this for your site check out our guides to creating mobile optin campaigns, and designing mobile popups for WordPress sites. You can also use OptinMonster’s InactivitySensor to re-engage mobile visitors. And, don’t forget the power of click-to-call marketing. More and more visitors want to be able to tap a button to get their questions answered in a quick phone call with a real person. OptinMonster makes this super easy, by the way. Check out how to get more phone calls from your website and give your visitors another way to get their hands on your stuff! And here’s one final tip: keep your optin forms short, since the less visitors have to do, the more likely they are to take action. Personalizing your mobile marketing is a no-brainer because it has the potential to increase not just conversions, but sales. 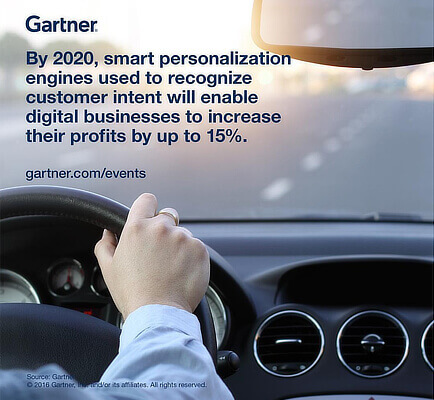 Gartner says that by 2020, personalization could boost eCommerce profits by 15%. Personalization is much more than using someone’s name in your marketing. It’s about showing visitors the right offer at the right time. That relies on data about who they are and how they’ve already interacted with your message and your site. One personalization method that’s particularly suited to mobile users is using geomarketing. In fact, Google’s research shows that 61% of users prefer to buy from sites that customize marketing material according to their location. You can use OptinMonster’s geo-location feature to target your marketing according to location. To do that, once you’ve created a campaign, navigate to Display Rules » Who should see the campaign? Select Visitors from a specific physical location. Enter the location in the text box, then press validate. A new screen will pop up. If more than one location is listed, click on the location you want. Another way to use personalization to boost mobile conversion rates is to display offers relevant to a product category people have been looking at. IncStores increased list subscriber numbers by 300% with that technique. Check out some more personalization examples for inspiration. Multi-step optin campaigns rely on the Zeigarnik Effect, which says that if visitors complete the first step, they’re more likely to complete the second. To use Yes/No forms in your own marketing, create a campaign. Navigate to Yes/No in the OptinMonster campaign builder, and click Activate View to enable the functionality. Check out our article on creative ways to use yes/no campaigns for more inspiration. Conversions on any device rely on the effectiveness of the call to action (CTA). This is where you tell visitors what to do next, after presenting compelling reasons to take action on the rest of the page. 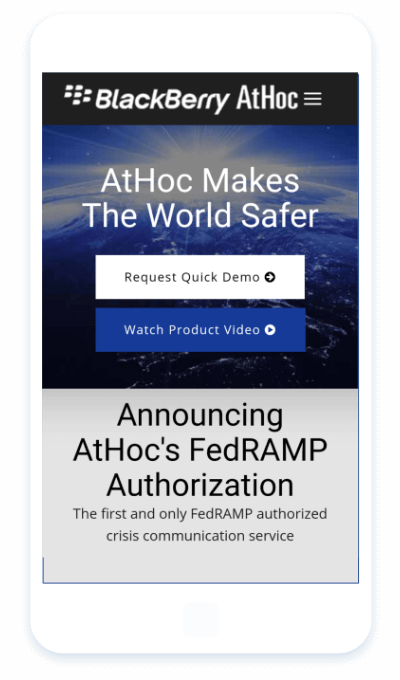 Learn more about CTAs in our article on how to write a perfect call to action. Ever tried to pay for something on your mobile device, only to have something go wrong while you were editing your credit card number? We have too, and it’s a conversion killer. 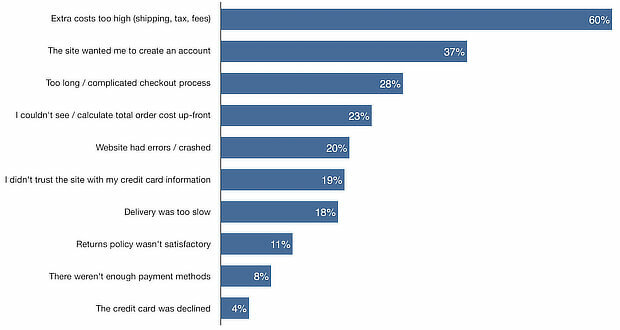 For 28% of people, a complicated checkout process (we’ll look at that more in the next tip) can lead to abandonment. It doesn’t have to be that way. If a site has enabled it, visitors can use digital wallets like Google Pay and Apple Pay to pay quickly. 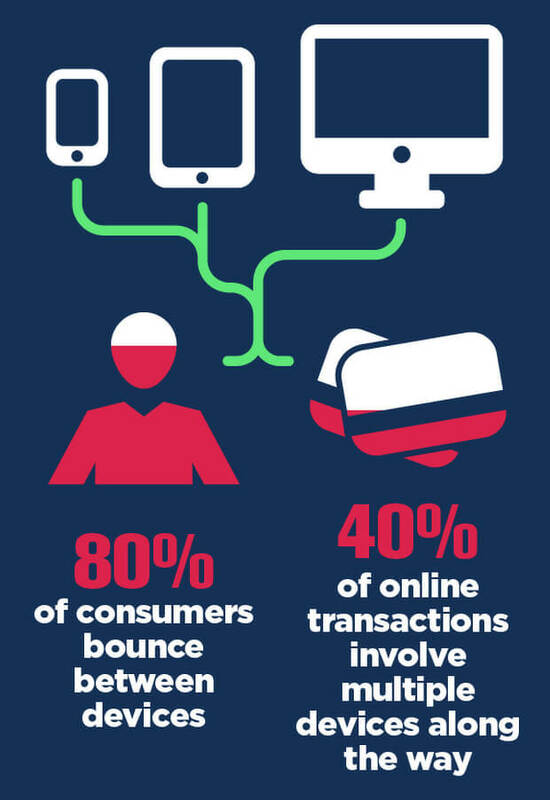 In one case study from Big Commerce, conversions tripled when digital wallet payment was available. Reduce the number of checkout steps. If you can get it down to a single step, that’s ideal. Here are some more tips on improving eCommerce conversions. 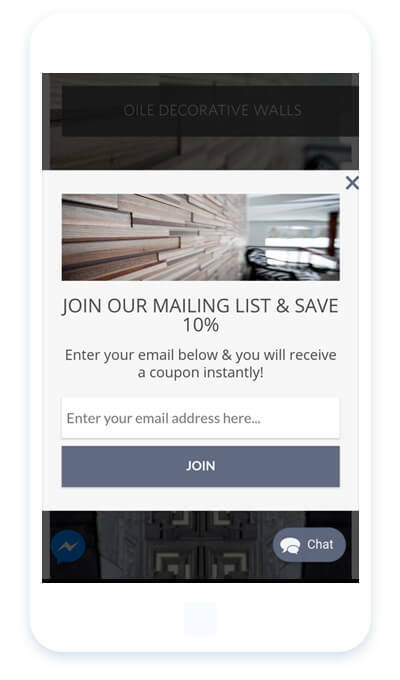 Another way to reduce abandonment that works on both desktop and mobile devices is to put a targeted offer in front of visitors to get their attention just before they leave. On desktop, you do that with OptinMonster’s advanced Exit-Intent® Technology. For mobile devices, there’s another feature: InactivitySensor™. This provides exit-intent for mobile, by detecting when visitors haven’t taken action for a while and popping up an offer. To enable this, go to Display Rules » visitor inactive time is at least and then adjust to the number of seconds you want to delay your campaign. It almost goes without saying that if you’re working on improving your mobile conversion rate, you’ll need to test. Testing can really improve mobile conversions. ConversionXL got a 24% mobile conversion rate increase by testing and tweaking. Plus, you want to be sure that any changes you implement make a real difference to the mobile conversion rate. If you’re using OptinMonster, it’s easy to use our A/B testing feature to see if small changes to your mobile optins make a big difference. Learn how in our A/B testing guide. If you’re going to make the most of mobile marketing, you’ll need to integrate core aspects of mobile platforms into your mobile conversion strategy. Two of these are SMS messaging and push notifications, both of which are proven to increase conversions. With at least 75% of cell phones able to receive text messages, and a whopping 45% response rate, SMS is a great channel. 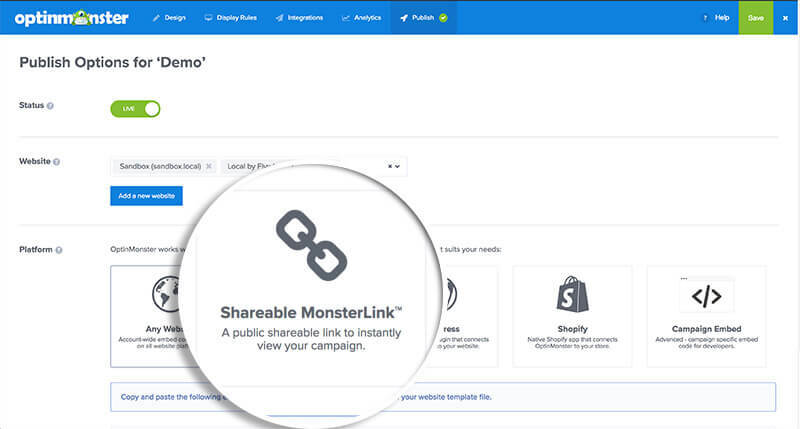 You can use SMS to get people’s emails and encourage them to opt in to your email list or make it easy for mobile users to access a campaign by using a shareable MonsterLink™. MarketingLand suggests that, as with other marketing, list segmentation and message timing are two of the keys to using push messaging to increase mobile conversion rates. That’s why it pays to ensure that visitors can switch back and forth without hitting roadblocks. Nielsen Norman Group has some tips on creating a seamless cross-channel experience. That’s it! Implement any of these 19 proven mobile conversion rate boosters to see an increase in the number of mobile visitors who sign up or buy. For more on mobile conversion optimization, check out our guides to creating high converting mobile popups and winning more business with mobile optins. And follow us on Twitter and Facebook for more tips and in-depth guides.